Land Drifter Bangkok Bohol. 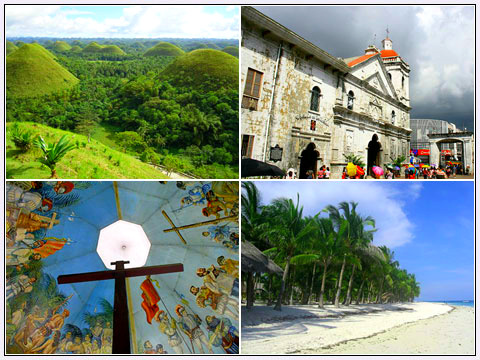 Philippines Cebu excursion Palawan Thailand trip Cebu and Bohol, here we come! Cebu and Bohol, here we come! A planned excursion or trip especially to a nice place always leave me with dreams after dreams of activities that I'm gonna do come the time of me being there already. And if it's like days before the trip transpire, the difficulty of putting myself to sleep starts to hit me. At the moment, I am into the dreaming thing. But I'm expecting things will get worst in the coming days as our date of departure draw close. With so many great reviews online and first hand information and testimonies from local friends who live there not to mention friends who are going to join the club, I bet this upcoming trip of ours in the islands of Cebu and Bohol in April with a few days stop in my hometown of Palawan will absolutely make other people envious to death lol. Kidding aside, I am indeed excited. In fact, I already bought a trolley luggage a week ago that can accommodate 40 kilos to 50 kilos, tops. This is kind of a really massive luggage for me and my wife including our 8th month old angel who will be travelling for the first time internationally. Despite its size we found it quite handy because we don't like the idea of carrying a few luggage here and there just because they're small. Check this out: Phitsanulok to Bangkok, Bangkok to Manila, Manila to Antipolo, Antipolo to Manila, Manila to Cebu, Cebu to Bohol, Bohol to Cebu, Cebu to Palawan, Palawan to Manila, Manila to Antipolo, Antipolo to Manila, and Manila back to Thailand only for two weeks. For us that's just fine but how's that for an itinerary of an 8th month old? It's gonna be tough, we know, but I think she can handle that. See you in a jiffy, Cebu and Bohol!